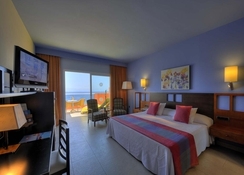 Roca Nivaria Gran Hotel is set in a great locaton that overlooks the Playa Praiso beach. It is well-equipped with a range of facilities that include a spa & wellness centre, massive infinity pools (temperature controlled), outdoor Jacuzzi, solarium, two tennis courts and facilities for beach volley ball, petanque and archery too. With several entertainment options for the kids, this is a hotel to bring the littles ones on holiday as well. Kids can have unlimited fun in the mini club, where numerous activities are specifically designed for them. The hotel houses four restaurants and bars offering national and international food and beverages. 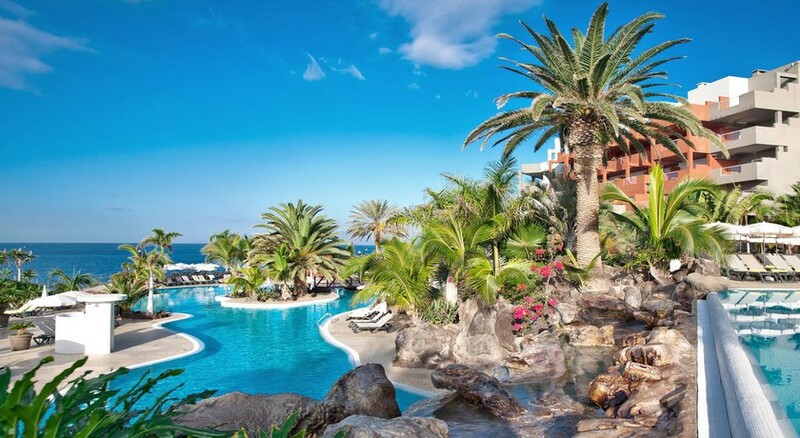 Roca Nivaria Gran Hotel is conveniently located in Santa Cruz de Tenerife, Spain. It stunningly overlooks the Playa Praiso Beach, which is only 2 minutes’ walk away. As it is centrally situated, it is within vicinity to numerous shopping malls like Safari Shopping centre, San Eugenio Shopping Centre and Gran Sur Shopping centre. Those who are enthusiastic about water sports can go to the La Pinta Beach, which is only 6.1km away. Golf lovers can tee off at Golf Las Americas, which is about 12.5km away. Tenerife South Airportis around 26km from the hotel. 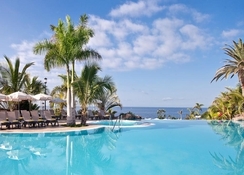 Roca Nivaria Gran Hotel offers luxuriously furnished rooms and suites with spectacular sea views. They fall in the following categories: Double Standard, Double Sea View, Double Top Floor, Superior Double, Junior Suite with Sea View, Superior Suite and Presidential Suite. All the rooms and suites are well furnished with bedrooms, bathrooms, shower, bathtub, televisions, mini bar, large terraces, hammocks, umbrellas, air conditioner, room service, Balinese bed and a fruit basket in Presidential Suite. At Roca Nivaria Gran Hotel, you will discover delicacies from all the corners of the world. It features four restaurants out of which two of them serve international buffet and the other two serve Spanish and Italian specialties. Additionally, you can also opt for half-board or all-inclusive option, so that you can have a nice dinner at the themed restaurants (upon reservation). Garoe Restaurant, Restaurant and Bar Ahemon, Burgos Restaurant and Verona Restaurant are the four restaurants on site. For drinks, you can go to Tamaragua Lobby-Bar, Colloquium Bar and Belingo Night Club. The hotel has ample sports and leisure facilities to keep guests engaged from morning to night. Some of the sports facilities include: two outdoor tennis courts, one basketball court, rifle shooting, volley ball, outdoor swimming pools and much more. The hotel’s spa offers numerous massages and beauty treatments from head to toe. Children can have a lot of fun in the children’s area, where various activities and children-friendly buffet is offered. Holidaymakers can discover a range of local bars and restaurants a mere 300m away from the hotel.